Yes it takes the proper fairing shape representing a Bentley. Try it and you will see for yourself. Download the skin I provided and rename as I indicated. Last edited by Robert_Wiggins; 08/03/18 04:54 PM. I have to go out for a couple of hours but I will check the forum whenever I have internet. 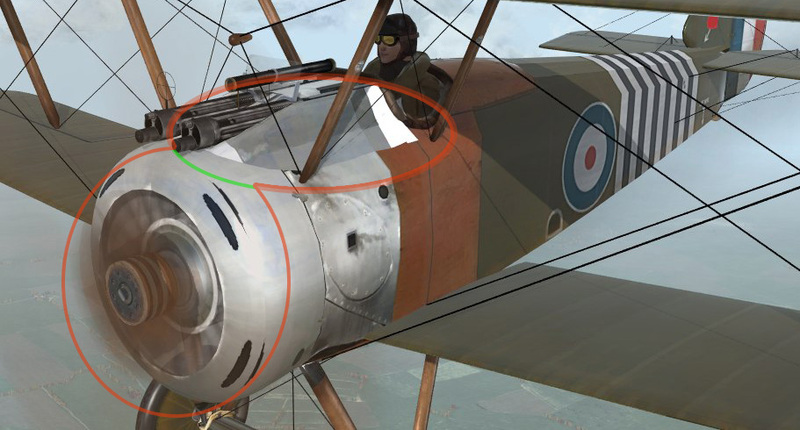 A correct, not renamed (Bentley specific) skin doesn´t distort or stretch that way in the engine fairing. Last edited by ArisFuser; 08/03/18 05:12 PM. Looks like a pretty clear model/texture glitch to me on the “hump” (gun fairing/enclosure) where the Camel earns its name when using a Clerget skin on a Bentley model. From a distance it’s probably barely noticed but wonder about the cockpit view? EDIT: Updated Aris pics - yes an issue. How’s it look from the cockpit? Last edited by DukeIronHand; 08/03/18 05:11 PM. Aris it looks as it should be IMHO. Well, then, I agree to disagree. 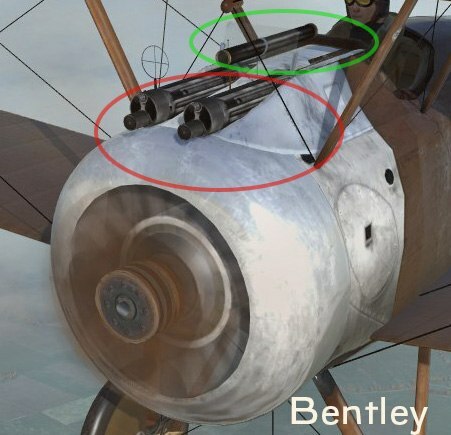 If we want to have ace skins for Bentley Camel squadrons, there is no easy fix I am afraid. Last edited by ArisFuser; 08/03/18 06:14 PM. Except OBD but they are hip-deep in WOTR. Fixing what you found sounds like a big undertaking and, in hindsight, such an obvious oversight I sometimes wonder if we are missing something. the WOFF named Bentley skins are working as designed for you ? Last edited by Shredward; 08/03/18 08:23 PM. Aris, I stand corrected. You are correct and I went into the Camel skin for Barker and transferred the engine shroud from a Bentley skin to the Camel skin and it worked fine and looks just as you indicated it should. That said, it would be possible to replicate all the camel skins as Bentley skins with a little art touch-up, but which of the stock skins should historically be updated is the big question. 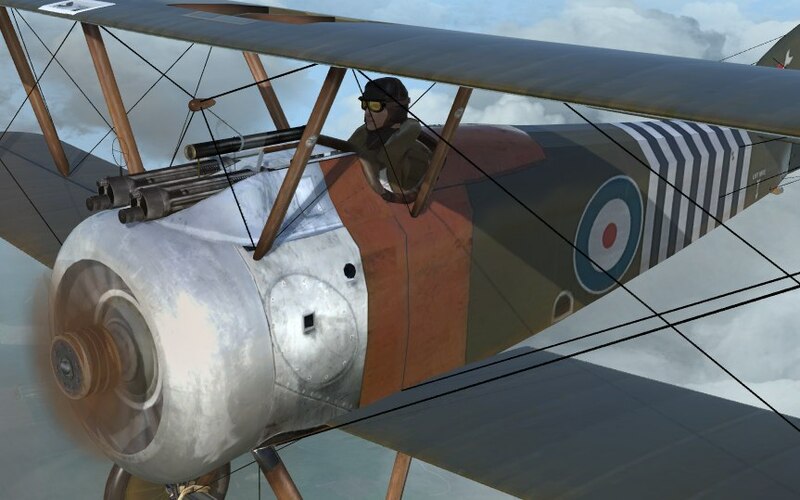 In the long run we need to know just what squadrons/pilots should have Bentleys and what the skins should look like in order to undertake an effort to fill in the gap for the missing skins. Last edited by Robert_Wiggins; 08/03/18 09:02 PM. Shredder, if I can be of any help I am willing to put some time into aiding in the process. Currently there are 376 Camel skins, including a few 'Bentley' skins. If ArisFuser has tweaked things, such that the correct shape texture file works on the 3D model of the aircraft, without the need for OBD to have to modify any 3D model, then I guess it can be done. It really depends on what needs to be done and to how many skins to achieve the effect you are after. If all skins need adjusting it would be a long job, but not as long as it took me to create all of the current 376 skins. Maybe if interested parties submit what's needed to 'Shredward' then he can act as the single conduit to me to get the skins sorted and knowing Ted, they'll be 'additional' skins included. If OBD can't assist with this initially in creating an update, I guess I could host the skins on the 'User Mods Pages' until they can. Maybe Rob could create a download package or packages using JSGME.